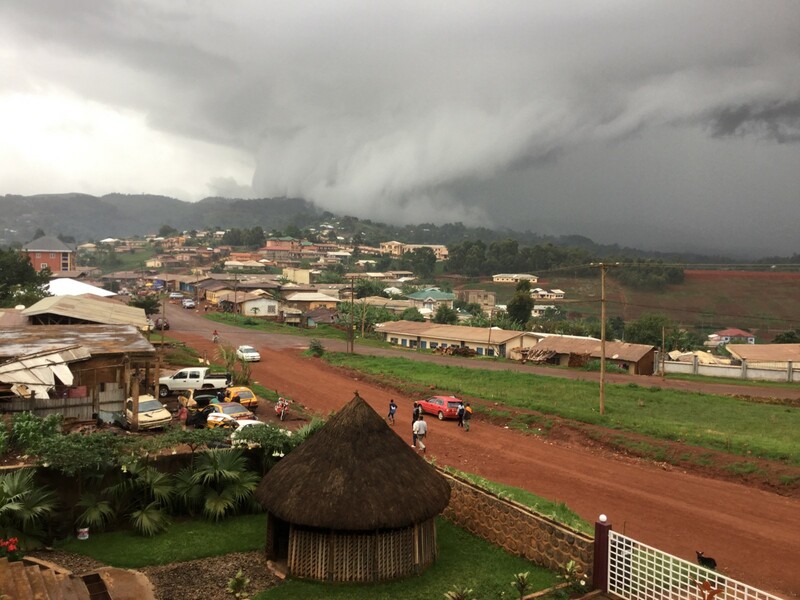 Kumbo Town is the second largest town in the North West Region of Cameroon, one of the restive English-speaking regions clamouring for autonomy. In recent times it has become an epicentre in the on-going conflict between Cameroon military forces and restorationist forces of the putative Republic of Ambazonia, often known as the Amba Boys. An unprecedented wave of violence has taken the town captive and is rooted in the New Year’s message of President Paul Biya as he approaches his 86th birthday, to use crude military force to quell the uprising if the terrorist/rebels do not lay down their arms. In the early hours of January 1st, at 00.05am, to show allegiance to Biya (now in power for over 26 years), there was a deafening and frightful salvo of gunshots in all military facilities in the town causing the inhabitants flee to safety. The war had started. In this month of January 2019 areas of the town such as Mbev, Ndzenji, Squares, SAC Junction, Mantum, Ber, and Meluf have been deprived of the right to own and live in decent houses. The conflagration of military fire has reduced many houses to ashes and forced many people to flee to unknown destinations, paving the way for mass looting from the forces of lawlessness and disorder. Many doors of houses are standing ajar after their crude acts. Soldiers come in waves and depart with looted material, especially Android appliances and food items. This probably is a well orchestrated and planned tool and strategy in this war of attrition. Target killings, extra-judicial execution, disappearances and abductions have become the hallmark of their presence. In Mbve on January 18th, a pregnant nurse on her way to resume work at Shisong General Hospital was mercilessly gunned down by soldier from a rooftop.Two days later an early dawn raid was effected by the military within the premises of Shisong Hospital causing double trauma for the hospital patients as well as the Cardiac Unit. A young Internally Displaced boy of 17 who had never witnessed heavy military presence ran into the house where he was hosted for safety, but was unfortunately pulled out and riddled with bullets beyond recognition. Shisong, which hosted many IDPs, is experiencing a re-displacement, making a bad case worse. There is almost daily military presence and shooting around the hospital in the night and the IDPs plus their hosts have all flocked into the wards. No one can be certain of what is to come. There is an atmosphere of foreboding. Everyone seems resigned to their fate. The military units making their entry from the West Region into Kumbo are leaving behind a trail of destruction of houses beyond imagination. Food stuff for people’s consumption is set ablaze. This is scorched earth policy. The civilians must pay the price. January 21st a young bike rider at Squares-Kumbo round-about, who had just dropped off a passenger, ran into a military convoy returning from Shisong and was pulled off his bike and slaughtered with impunity. In Tankum Quarter, the story was no different; two young boys in their teens had their throats slit open by the military on allegations of being Amba affiliates. Minutes later military canisters were directed to another quarter, Kongir, setting a house ablaze, killing a two year old child therein, and wounding the sister and mother, who were lying in bed. Also, women have been raped with impunity. Goats and chickens have equally paid a price with their lives for roaming freely in town. They are shot and packed into military vans possibly for consumption. Beer parlours with stocks of beer that have been locked are invaded by these unfriendly visitors who consume the stock to excess and then shatter the remains into bits and pieces, thereby ruining the business of a proprietor. Kumbo Town which used to be bustling with activity has become a dead town, a ghost town, a town abandoned to fate. About seven out of every ten houses have been abandoned. Frequent electricity black-outs or cuts are alarming. The cost of petrol and diesel has risen to absurd heights. The prices of basic foodstuffs have risen considerably. Getting water for use and consumption has become a Herculean task. Many people die in homes because they cannot afford the means to reach hospital. Many pregnant women have escaped into the bushes and far off villages for safety, disregarding anti-natal checks and clinics. Commercial activities are at a standstill, with a gross shortage of basic commodities – even those that are available are sold at unbearable prices. Educational facilities are completely shut down and unemployment has soared. Dead IDPs are buried in the absence of relations by people of good will. Houses along the main road in the town are branded with bullet holes. Civilian farms within the precincts of military facilities have been torched and destroyed in order to create a buffer zone. Fugitives and IDPs moving into other regions are not free from harassment and death-threats. In Douala, IDPs are forced to pay a tax before being accommodated. Some are demeaned through innuendo and ethnic slurs. Many people wearing clothing of certain colours have become targets for the military. Wearers of black, the classic icon of tough guys, and red the emblematic insignia of Amba Boys, have become targets for elimination by the military. Bike Riders have not been spared from this fate. On the other hand, Amba Boys that shoot for restoration forces, though defending and fighting for the marginalised, have equally left their own mark. Government sympathisers and those critical of them are whisked-off to unknown destinations where they are tortured beyond recognition and released only when a ransom is paid. They have frequently interrupted the little attempted commercial activity with death threats. Any Amba critic or sell-out receives the crown of brutality from the Amba Fist of Fury. Transit fees/fares demanded by Amba affiliates are heartbreaking. Moving from one Administrative Division to another is a nightmare with numerous check-points for both Amba and military forces. Having identity papers with a Cameroon Government Logo is nauseating and acrimonious to Amba Boys and a lack of them at Cameroon Government checkpoints is an occasion for arrest, torture, incarceration and death. This is the predicament of the inhabitants of Kumbo. Reflection: “Actions that are designed for the methodical extermination of an entire people, nation or ethnic minority are always to be condemned as horrendous crimes” (Gaudium et Spes 79). “Any act of war aimed indiscriminately at the destruction of entire cities or of extensive areas along with their population is a crime against God and man himself. It merits unequivocal and unhesitating condemnation” (Gaudium et Spes 80). The obligation of preventing war lies on all nations. A world organisation that has Supreme legitimacy and authority seem to be the most apt means of preventing war and promoting peace. Prof. Maurice Kamto, Cameroon’s main opposition leader has reportedly been arrested, his party and rights activist in the Central African country confirmed on Monday, January 28. Kamto who is leader of the Cameroon Renaissance Movement, CRM, has been taken to an unknown destination according to a lawyer in the Anglophone region, Agbor Nkongho. Even though government has yet to comment on the development, it is largely believed that arrest which took place in Douala is linked to a peaceful protest by Kamto’s part over the weekend. Reports indicate that he is not the only one detained but that other members of the party have also been held and are due to be sent to Yaounde for questioning. He came in second in October 2018 presidential elections which were won by the incumbent Paul Biya. The former Biya-appointee led an opposition coalition that involved renown lawyer Akere Muna, the pair struck a deal with about 24-hours to the opening of votes. He was the first to declare himself winner of the vote following which security was deployed to his party offices and his residence. He was briefly put under house arrest but all measures subsequently withdrawn. He was also at the heart of a legal challenge seeking the annulment of the presidential result. His team, however, saw their petition dismissed by the Constitutional Court which affirmed the seventh straight mandate of Biya. * Cameroonians have made history by voting out the incumbent. * I won a clear mandate, ready to defend firmly. * Biya must set up transition team to avert needless crisis. Cameroon President Paul Biya on Monday, January 21, extended his condolences to Kenya and President Uhuru Kenyatta over the recent terrorist attack at 14 Riverside but his message was not received kindly by some netizens. “I extend my heartfelt condolences to President Uhuru Kenyatta over the terrorist attack at the DusitD2 hotel and office complex in Nairobi. One netizen reminded him that it has been almost a week since the incident at dusitD2 and Kenyans have already gone back to work. Numvi Destain: Are you just hearing of it today? Even Pdt Uhuru has already forgotten about it. Yao Son Ibrahim: Kényans have already forgoten the incident you are just reminding them.Too late!!! 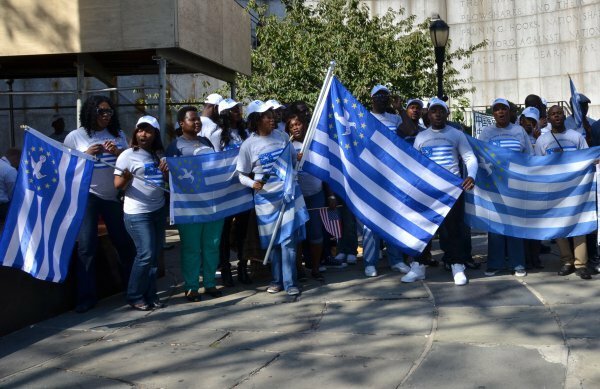 What began as a civil protest by some disgruntled English-speaking lawyers, teachers, and students from Southern Cameroons, against the marginalization of the French-speaking majority in 2016, is now gradually degenerating into a brutal civil war. Since President Paul Biya declared war on the secessionists after they attacked and killed two policemen in 2017, villages have been burnt down, thousands of people have fled their homes and more than 40,000 have fled to Nigeria as refugees according to the United Nations. In fact, there are even allegations of genocide in the region. In the light of this situation as well as the following reasons, Nigeria has a duty to rescue the Southern Cameroonians from the claws of Paul Biya before he sends them into geographic extinction. First, Southern Cameroonians were formerly Nigerians until the plebiscite of 1961 allowed them to join Cameroon. Despite this, they have been grossly marginalized and treated as minorities by the Francophone government in Yaounde. Hence, the reason for their agitation. There is nothing wrong if Nigeria supports Southern Cameroons in their quest for freedom since they share historical and cultural relationships. Second, if Nigeria does not help Southern Cameroons broker peace, the spillover effects of a potential civil war will definitely affect the former. Currently, over 40,000 Cameroonian refugees are in Nigeria. The number may increase if Nigeria keeps folding her hands and watch as the Biya led government continues to lay siege on Southern Cameroons. Third, if not anything but good neighbourliness. Africa has always been the centrepiece of Nigerian foreign policy. Since Nigeria became independent, she has helped many African countries through her good neighbourliness policy. The anti-apartheid black movement in South Africa readily comes to mind as one of the examples of Nigeria good neighbourliness gesture. Hence, Nigeria must extend this gesture towards the Southern Cameroonians, especially as they were formerly Nigerians. Fourth, Nigeria stands a chance of reclaiming the Bakassi Peninsula if she supports Southern Cameroons. On August 14, 2008, Nigeria handed over the Bakassi Peninsula to Cameroon after the International Court of Justice (ICJ) ruled in the latter’s favour. Before then, Nigeria and Cameroon had disputed over the ownership of the land. If Nigeria helps Southern Cameroon actualize her independence dream, she can revisit the Green Tree Agreement. Fifth, genocide and state-sponsored terrorism are not acceptable in the post-Westphalia order. From reports, it is as if the war against secessionists has turned out to be a genocide and state-sponsored terrorism against the Anglophone Cameroonians, given how villages have been burnt down, and how about 160,000 thousands of people have been displaced from their homes. If this is the case, the post-Westphalia order strictly forbids state-sponsored terrorism and genocide in Southern Cameroons and elsewhere. In fact, they could be strong reasons for the superpowers to invade Cameroon. But while it is as if the United Nations Security Council (UNSC) is asleep over the conflict, Nigeria can assist Southern Cameroons on humanitarian grounds. No country will chide Nigeria for this, knowing full well that the post-Westphalia order prioritizes humanitarian concern over a country’s sovereignty. Nigeria will be the one to bear the brunt at the end of the day if war erupts in Cameroon. The number of refugees that she would have to host both in the south and north is unimaginable, a big threat to her security and resources. In order to avoid this, she must act fast either through the initiation of dialogue or openly declare support for Southern Cameroons. While the year 2018 was a transitional year for some countries, which changed their leaders through the ballot box, some other countries like Cameroon and Mali decided to renew their allegiance to their presidents. The third part of the 2018 elections review gives a brief insight on how election was carried out in Cameroon and Mali. The 2018 presidential elections in Cameroon witnessed some happenings which completely changed the traditional system; election-proclamation of result, to feature a heated court exchange between the state and the opposition. A lot of people wished this election could be the end of the 36 years rule of President Biya who took over from Ahidjo in 1982, but all hopes were dashed when he announced his intention to run. The elections took place in a tensed atmosphere with security threats in the North West and South West regions which has plagued the country for over two years. Barely two days to the polls, two opposition candidates, Akere Muna and Maurice Kamto formed a coalition after several failed attempts by all opposition leaders to come together to unseat Biya, marking the very first time the country has witnessed a coalition. Amidst growing tension, the election was conducted hitch free but massively boycotted in the restive Anglophone regions due to security threats. Twenty-four hours after the polls, Maurice Kamto declared himself winner during a press conference in Yaounde stating that figures he received indicated that he had majority of the votes. Such claims were watered down by the government stating that only the constitutional council had the right to proclaim results. 18 petitions were filed before the constitutional council by individuals and parties including Maurice Kamto and Joshua Osih seeking partial or total cancellation of the process. These petitions were termed unfounded and dismissed by the constitutional council. Unable to secure an all out victory in the first round, Ibrahim Boubacar was declared victorious in the presidential race, after amassing 67% of the votes in a run off with main oppostion leader Soumaila Cisse. The constitutional court in the country gave a green light for a run off to take place on August 12 after results of the first round indicated that no candidate was able to reach the 50% threshold to be declared winner. Meanwhile several opposition candidate rejected result tallies and called for recounts of some ballots, but the president of the court declared such petitions “inadmissible”. Despite the fraud allegations filed by Soumaila Cisse, Keita’s major challenger in the elections , Ibrahim Boubacar was declared winner of the elections by the apex court and was sworn in on September 4,2018. However, Mali’s vote was marred by insecurity which caused many of the voters to boycott the run-off presidential election. A Swiss MP challenged the Council of State of his country on the subject last Thursday. 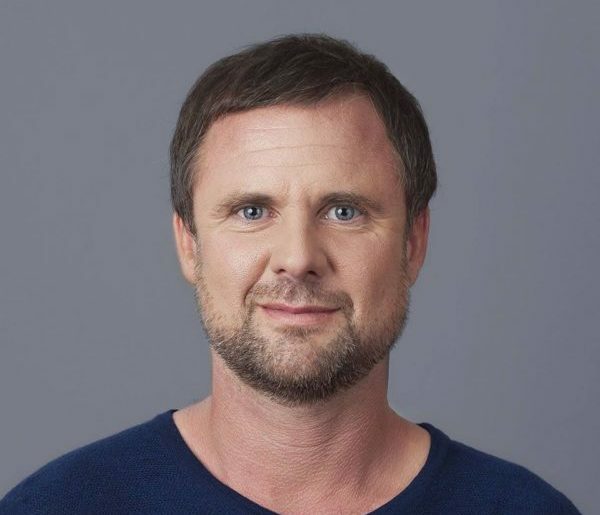 Sylvain Thévoz believes that the different stays of the Cameroonian head of state in Switzerland are shady to the city of Geneva, which he considers the capital of human rights. Through an “urgent written question” addressed to the Council of State, Sylvain Thévoz puts into perspective, a number of facts to draw the attention of the Swiss authorities to the “harmful” nature of the multiple stays of the Cameroonian president on the soil of Geneva . He denounces the high cost paid by the Cameroonian taxpayer at each of these stays, or “40 000 dollars (nearly 22 million CFA Francs) for a night on the intercontinental. An amount that does not include airfare. The expenses of President Paul Biya during many “private trips” in Geneva have been the subject of several scandals, the most resounding was sparked by a survey of the OCCRP organization. According to data published in February 2018, the Cameroonian head of state, still accompanied by his wife and a strong delegation of about fifty people, has already spent more than 1645 days out of his country for 65 million (35,031,458,800 CFA francs). For Sylvain Thévoz, the evil can not be seen under the sole prism of financial losses for the State of Cameroon. “If it is established that the love of President Paul Biya is expensive, very dear to Cameroon, how much does it cost in Geneva?” He asks in a letter addressed to the Council of State, evoking the impact on the image of the city of Geneva. “As an MP, I am uncomfortable and many people are uncomfortable since Geneva is home to resort dictators who have enriched themselves by violating principles of which Geneva is the symbol and the defense in the world” he said. “We feel sullied by this presence that harms the image of the city. We have followed closely the demonstrations of Cameroonian citizens here in Geneva denouncing the presence of Biya on the backs of his people and we support these legitimate claims “he mentions in his letter before calling the State Council to respond to his concerns within three weeks (13 December). Otherwise, it could well accompany the next demonstration initiatives of Cameroonians in Switzerland. The United States demanded an immediate end to violence in Cameroon on Thursday and a speedy start to talks between the government and Anglophone separatists without preconditions. October was the most violent month on record in recent years — and November is likely to surpass it, he said. Hundreds have been killed in Cameroon’s English-speaking regions in months of fighting between the military and separatists who claim they are marginalized in the largely French-speaking country. He said the escalating violence is obstructing the delivery of humanitarian aid to over 430,000 internally displaced people as well as education and health access to children in rural areas. Reena Ghelani, director of U.N. humanitarian operations, warned that Cameroon is “one of the fastest growing displacement crises in Africa,” saying that in addition to those who have fled their homes and remain in the country over 30,000 Cameroonians have crossed the border into Nigeria seeking refuge. “We note with great concern the deteriorating situation with respect to the protection of civilians, including reported killings, burning of homes and villages, extortion and kidnappings in the South West and North West regions of Cameroon,” she said, adding that there have been multiple attacks on schools and threats to students and teachers. British deputy ambassador Jonathan Allen said the United Kingdom takes Ghelani’s warning very seriously and announced a $3.1 million contribution from the government to the U.N. appeal for the Anglophone regions to address immediate humanitarian and medical needs. This represents 20 percent of the U.N. appeal, he said, urging other countries to contribute. Both Allen and Cohen stressed Cameroon’s important role in fighting against the Boko Haram group and other Islamic State extremists. The United States encourages Biya “to make good on his commitment to accelerate the decentralization process” and implement recommendations of a Cameroonian commission on bilingualism and multiculturalism, Cohen said. 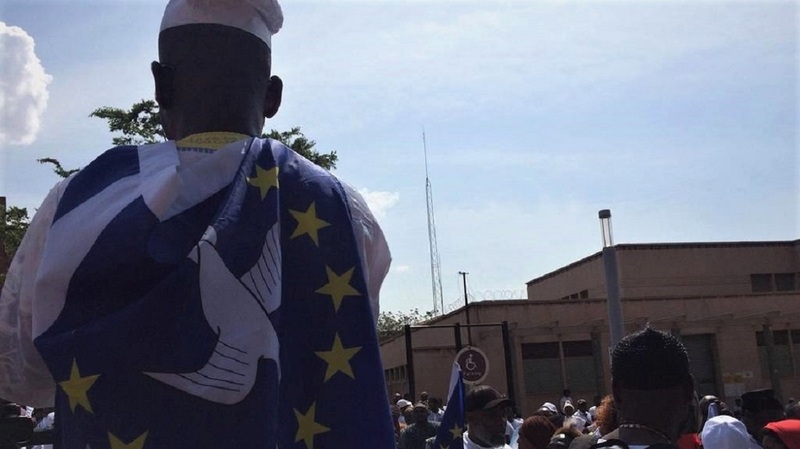 Up to now, the president’s policy has been based, above all, on military actions in favor of the defense of a unitary and centralized state in Yaoundé, against the groups in favor of independence that denounce what they consider to be privileges of the French-speaking part. The military has also kidnapped four churches to turn them into barracks. “The government of Ambazonia, which controls most of the Northwest and Southwest, has placed a group of soldiers in the school until the crisis is resolved”. “There are often shootings between different forces, and a stray bullet can kill a minor”, explains the Methodist believer. Because of this tension, the Presbyterian Church in Cameroon (PCC), published a statement last October, in the community bank holiday. “Given what the English-speaking community is going through at this time, we cannot have a celebration while many of God’s children are being killed, suffering or living as internal or external refugees”, says the text signed by the Reverend Fonki Samuel Forba, of the PCC. In addition, “the main challenge is to meet, and this has made it difficult for the church to have a strong voice in the country”. Atilas believes that “Christians in Cameroon are not free to express their beliefs and are threatened by the bad government of the country”.